We get asked quite often what a company in the middle of the White Mountains of NH that specializes in building and fire code consultation, building inspections and land use permitting has to do with the nautilus that graces our logo. The answer is within the perfection of the nautilus shell. Much of mankind’s understanding of math is owed to the ancient Greeks and one of the numbers that was of particular interest to them is known as the Golden Ratio. A rectangle that is constructed with its sides in proportion to the ratio of 1 to 1.618 has a very interesting property in that removing the largest square contained in the rectangle leaves a smaller rectangle with exactly the same proportions as the original. Continuing to remove the largest square formed by the rectangle leaves smaller and smaller rectangles with this same proportion of 1 to 1.618. When the corners of these rectangles are joined, it makes a spiral that has been named the Golden Curve due to its graceful look. Peoples throughout history have found this curve, and objects in this proportion, very pleasing to the eye. It is said that the Greeks used it to ensure the beauty of statues and architecture and used it in the design of the Parthenon for example. This practice has continued in the arts and architecture with even the figures in Leonardo Da Vinci’s paintings and Michelangelo’s David proportioned according to this ratio. The ratio of successive terms of the Fibonacci sequence where each new term is the sum of the two previous (i.e. 0, 1, 1, 2, 3, 5, 8, 13, 21…) tends towards the value of 1.618, The Golden Ratio. This series is found throughout nature, from the number of petals in a flower, to the ideal human facial and body proportions, even the swirl in a nautilus shell. In our work we are often faced with the challenge of making a building or site fit in with its surroundings, whether integrated into the natural landscape, aesthetically assimilate to the structures surrounding it, or code compliant with its own use or the surrounding use groups. At Bergeron Technical when we are finished with a project, whether it is a design, permitting, inspection or administration project, we want our client to be completely satisfied with the final product and the experience they had with our company. We want the quality of our work to come through in beauty and functionality. 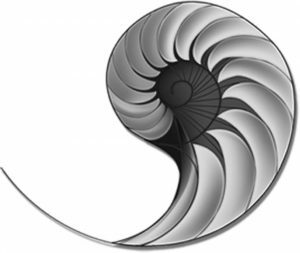 We want your experience working with our company and the end result of that experience to be just like a nautilus shell; Perfection.